When I lived in New York, in an old pre-war apartment on the Upper West Side, I devoured The New York Times every Sunday. My dear friend Sharon and I walked up to Absolute Bagels in the late morning, bought two bagels each (one with cream cheese and a generous stack of lox, the other with lox cream cheese spread), and walked back to our place, talking. We made a big pot of tea and sat at the creaky table in the kitchen. Light came through the smudged windows  there was no budget at our building for window washers  and fell on the sections of the newspaper spread out across the table. We put on good music, Beatles and Bach, mostly. And we sat there, for hours, until the teapot was empty and our fingertips were stained charcoal grey from all the newsprint. There haven’t been any Sunday mornings like that in a long time. I read every single section of that paper. Okay, I skipped the business section. But I always found myself looking forward most to the magazine. And increasingly, I rushed first to the food columns written by Molly O’Neill. “WITH a fixed gaze, Madeleine Kamman watched the gently rolling chicken broth simmer around the endive on the stove. Her ice-blue eyes trained on a single leaf, she was alert for the faint shiver that would signal its softening. In a flash, she added the dash of sugar that would help the endive caramelize. She shook the pan. She exhaled. ”Now it’s up to time and the fire,” she said. Ms. Kamman wasn’t instructing her visitor. She was reminding herself. In a black beaded sweater, black slacks and tidy black pumps, Ms. Kamman looked like a bourgeoise grand-mere. At 67, the French-born chef, who is famous for her merciless exactitude and her meticulous cookbooks and teaching, is trying to accept that some things are beyond even her control. I couldn’t get enough of Molly O’Neill’s writing, her muscular, playful writing. She had command of my brain from the first sentence. I didn’t know then that I wanted to write about food. Looking back, it all seems inevitable. The photos I took on my Kodak disposable camera when Sharon and I ate at Le Pain Quotidien or the Amish pie place. The way I remembered the breakfasts best. The fact that I grabbed the magazine to read Molly O’Neill’s columns before anything else, even the wedding announcements. It all seems pretty clear to me now. But back then, I just wanted to write. Anything. Everything. I wanted to write. Now, here I am writing. And next month, I will be part of an extraordinary gathering of writers, organized by Molly O’Neill, here on Vashon Island. And I’d like you to be here, if you can. A warm August day. Vashon. A big red barn. Great conversation. Pig roast. Berry desserts. How could you not want to be there? And if you’re on the east coast, there will be another of these in the middle of September, in upstate New York. I am honored to be part of this too. Along with this, there are writing classes. On August 13th and 14th, Molly and I are team-teaching a two-day seminar called Essentials of Food Writing Day Camp. Class is limited to 15 people, so sign up soon. And on August 15th, we’re teaching an advanced seminar called Food Writing Masters Class Day Camp. This seminar will be limited to 8 people, so if you think this might be right for you, submit some writing samples and register here. You could not have told me, when I sat at that kitchen table in an apartment in New York, that one day I could no longer eat those bagels. That Sharon would live far away. That I’d move back to Vashon, after leaving it for New York. That there would be years with a darling child where reading the Sunday paper seemed like a decadent luxury. Mostly, you could not have told me that, one day, I’d be teaching writing with Molly O’Neill. The woman who worked with Lillian Hellman, Julia Child, and MFK Fisher? Wanting to work with me? I’m very grateful. And kind of giggling at the same time. shauna this sounds incredible. congratulations on being and doing what you were so obviously meant to be and do. wish i wrote more about food! alas, it only makes a showing in my writing once in a while… have an amazing time. I had to run to the kitchen and grab the bundle of Molly O’Neill’s pages that I tore from past issues of the New York Times Magazine. Two of my favorites from early ’94, “Refined Sugar”, Vienna, in the fall, eating glorious cakes and “Greek Revivalism”, another adventure with her best friend, this time a trip to Greece, “seaside cliffs, topped with grassy pastures, and the intoxicating aroma of thyme and sage, oleander and ligaria mingled with brine. . . relentless as the blue expanse of sky and sea.” Such great writing. Thanks for the reminder. I do believe I’ll take some time today and read through the others. Enjoy the writing classes, lucky you! 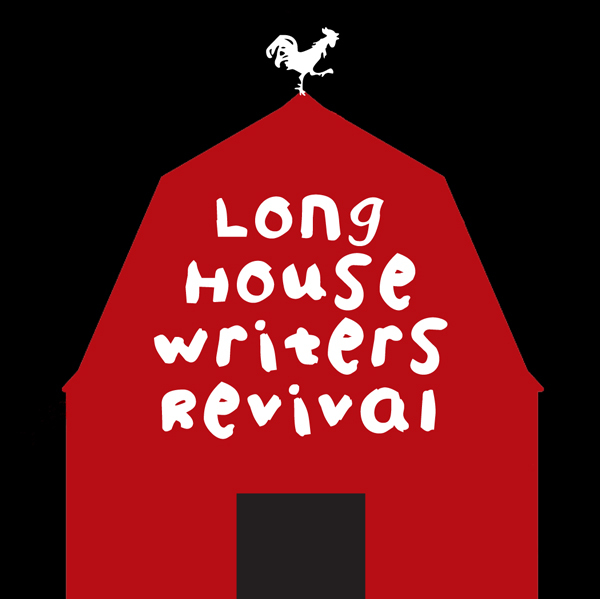 When you are in Upstate NY for the Longhouse Writers Revival you’ll be less than 5 miles north of my house, and will have a fantastic view of the Northern Catskills. The whole area is beautiful, so you should enjoy your stay. I don’t write, and I hate cooking, so sadly I shall not be signing up for the gathering, which sounds like a wonderful experience for those fortunate souls who enjoy cooking and writing. Although I loathe cooking, I do enjoy reading about OTHER people’s cooking, and I check out your website every day, because I have to be gluten free and I have to eat. Many thanks to you and Danny for all the information you put on the site. Of course you can come! Wow wow wow! I want to go!!!!! Need to find out if I’ll be done with my consulting gig at that time so I can come up!!!!!!!! What an incredible event! Lovely lovely writing Shauna – I am happiest when I see people I respect, admire and love have good things happen to them – for those serendipitous moments to come together and everything in the universe lines up. You working w/Molly is one of these moments. What an event this will be! Envious! What an incredible event. Please save a space for me next time. You and Molly in the same room- a powerhouse! That’s amazing! I so wish I could join you. Your writing is a constant inspiration for me. Maybe when you are on the east coast I can join in the festivities. Oh, this gave me goosebumps — how exciting, and what an honor for you to work with someone you have so admired over the years. (that’s how I would feel coming to see YOU!) What I wouldn’t give to be there… if only you were a bit closer. Enjoy every minute of it and here’s to hoping a GF dessert does in fact win the blue ribbon! engine oil, Shauna. You are gifted. This is wonderful! What an event. I only wish I was on the west coast! Have fun! Wow Shauna, it seems like we once were neighbors in NYC! I used to eat bagels at Absolute too (only a few blocks away from my apartment.) That is, before having to go gluten free. I’ve become a fan of Udi’s bagels, but oddly enough have found it hard to find freshly baked gluten free bagels here. I think the nearest place is in Brooklyn – I’ll have to explore sometime soon. Or bake my own!